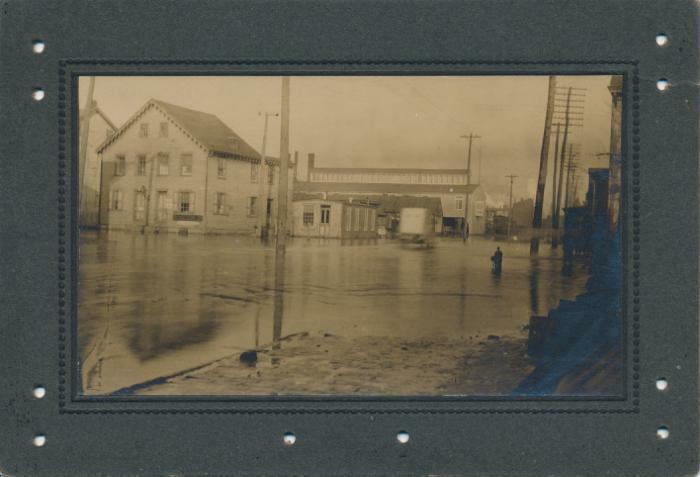 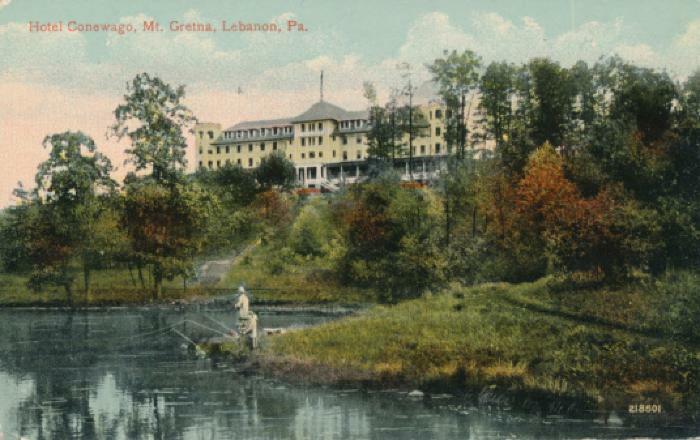 1908 Flood in Lebanon, Pa.
Hotel Conewago, Mt. 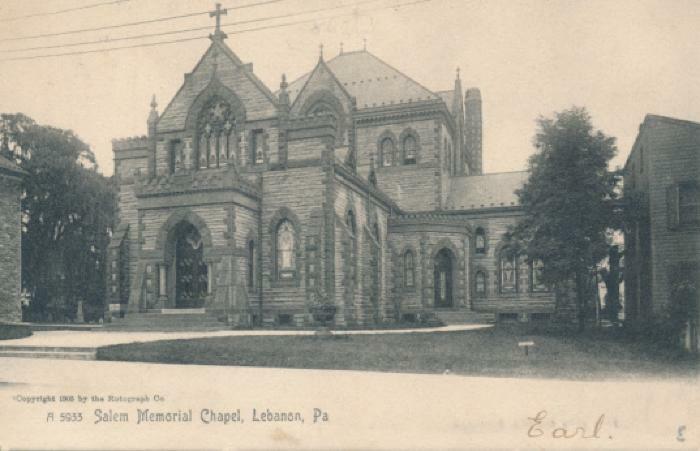 Gretna, Lebanon, Pa.
Salem Memorial Chapel, Lebanon, Pa.
Zion Lutheran Church in Lebanon, Pa. 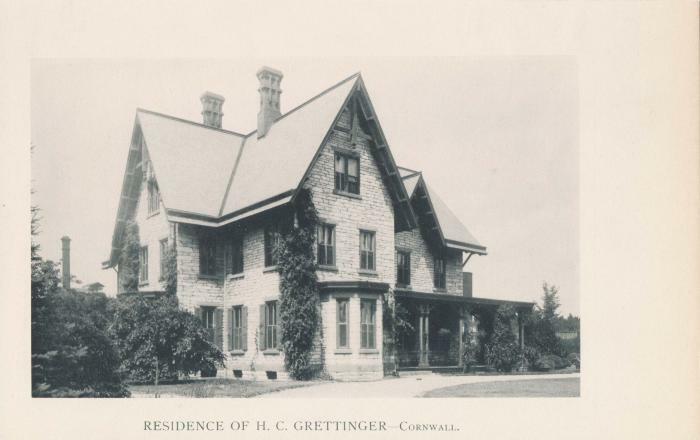 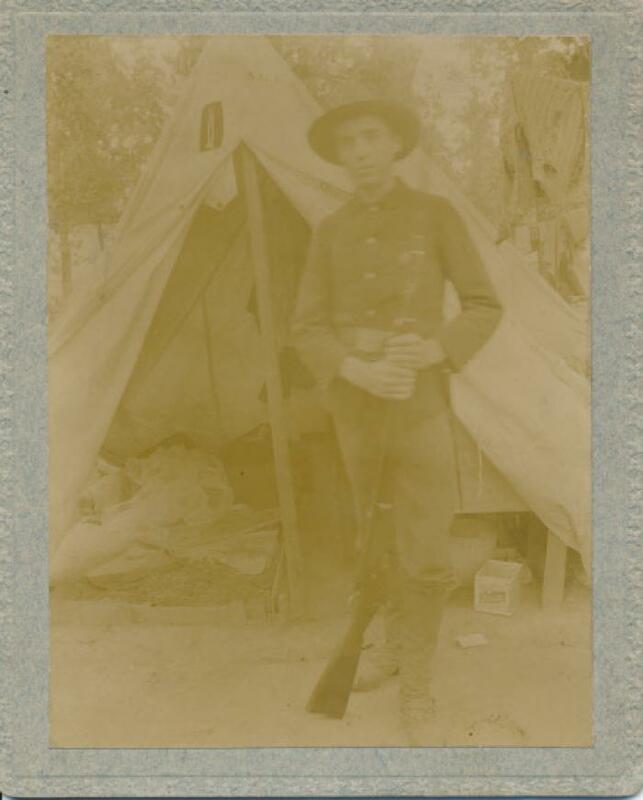 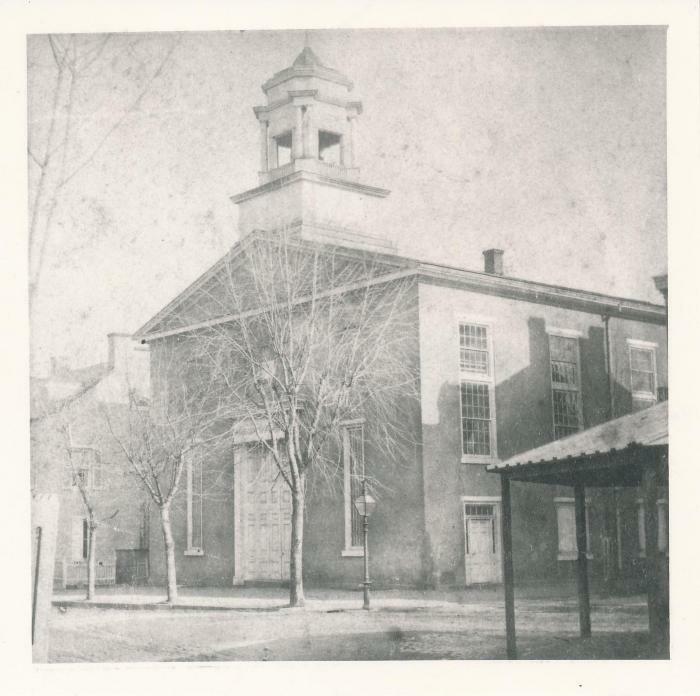 The LCHS was organized in 1898 by a group of interested local citizens and amateur historians. 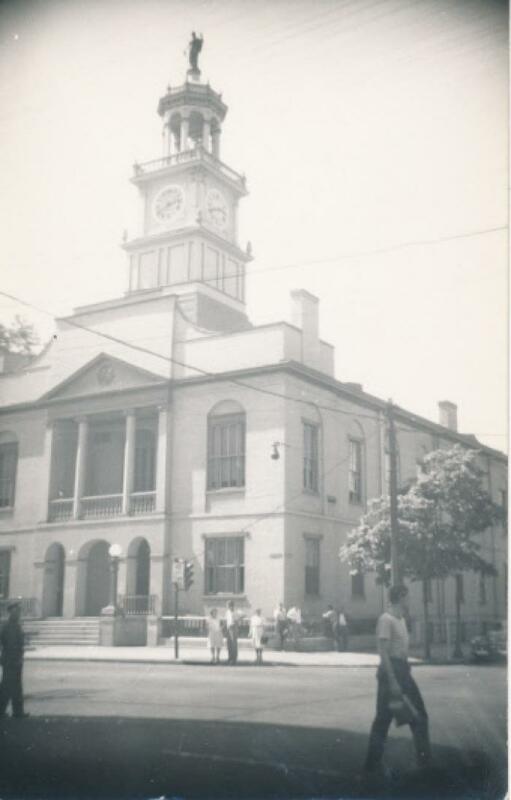 The mission of the Lebanon County Historical Society is to collect, exhibit, interpret, preserve, and publish the history of the Lebanon Valley. 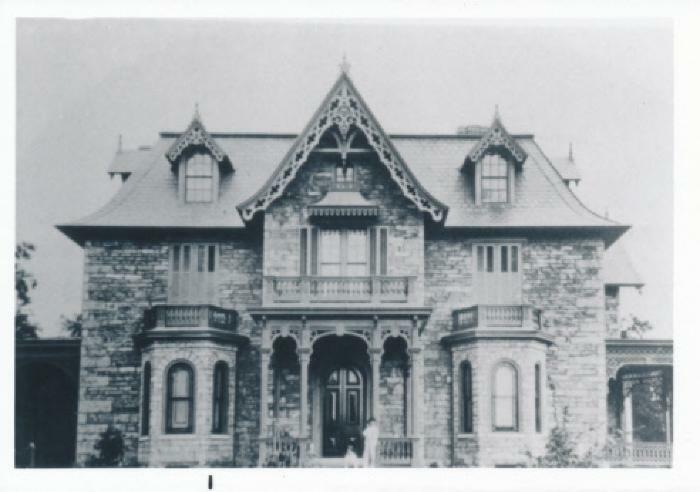 The Society shall accomplish this mission through its museums, libraries, archives, publications, programs, and historic sites. 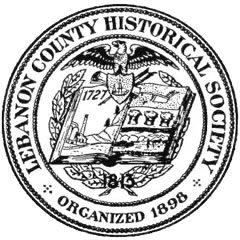 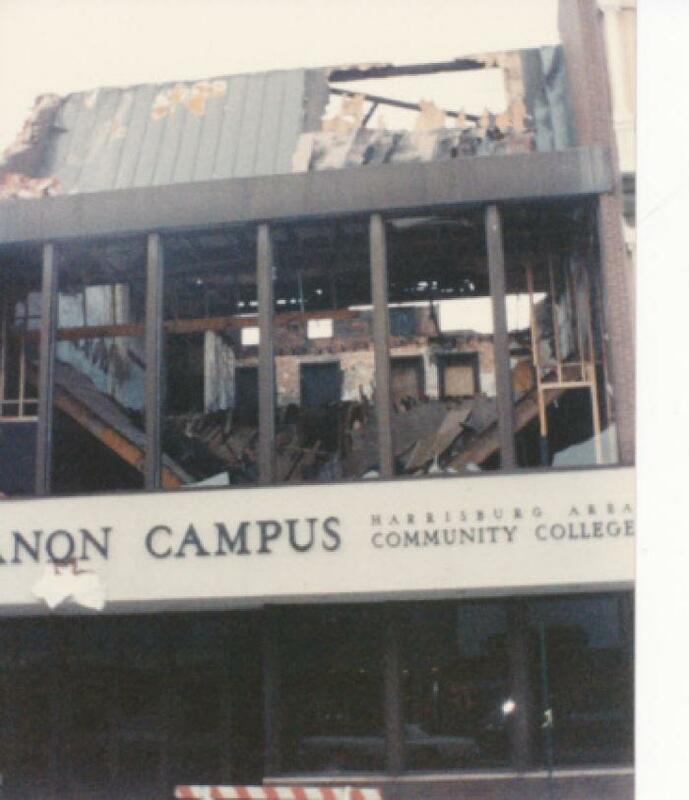 The Society shall hold its collections in trust for the community and recognizes its responsibility to educate and inform the public about the history of the Lebanon Valley and make its holdings reasonably accessible to the public.